Mumtaz M Kazi is the first Asian woman to drive the diesel train. Though initially discouraged by her father not to join the railways, Mumtaz with her persistent efforts convinced him and with all the encouragement from her family members was able to overcome the obstacles in the male dominated profession and now a successful pilot of the local trains. With a magnificent 25 years’ experience in the railways Mumtaz M Kazi won the Nari Shakti award in 2017. Mumtaz belonged to the traditional Muslim family. Since childhood she loved the trains. As the family stayed in the railway quarters, Mumtaz was fascinated by the trains. She was greatly inspired by her father Allarakhu Ismail Kathawala a senior employee in the railways, who always narrated the interesting happenings and stories of the motor men. The way they dealt with everyday challenges made her dream of becoming a locomotive driver. She studied in Seth Anandlal Podal high school. After completing her class twelve, she joined a diploma course in medical laboratory from SNDT University, simultaneously she had applied for the motorman training in 1988 and wrote a written test in 1989, attended the interviews, which she cleared all with high marks including the medical fitness test . She was the only woman in the 50 men group and got selected. She started her driving career at the age of 20, as a diesel locomotive assistant driver and has since driven various kinds of trains. She now drives through the India’s too congested railway route like the ChhatrapatiShivaji Maharaj Terminous-Thane Section. Though she had faced lot of issues initially but she overcame them successfully. She performed the most difficult jobs such as Shunting and coupling which were earlier thought to be done by men only. She proudly says that women are equally good as men and that she had successfully completed the tasks given to her without shunning away. She feels that a successful locomotive driver should have a sound technical knowledge, alertness, presence of mind, judging and assessing abilities along with the good physical strength and the hard work. Though she started her career with the salary of Rs.3500, today she earns perks equal to her male colleagues. Her husband Maqsood Kazi an electrical engineer has always supported her and they have two children daughter Faleen and son Tausif. Every day she starts her journey with a prayer to guide her through the day. She feels happy and lucky enough to have good supportive colleagues who always encouraged her without any gender bias. She won the Limca Book of world records in 1995 as a first woman locomotive driver. She won the Railways General Manager award in 2015. She won the Nari Shakti award from the President Dr. Pranab Mukherjee for her commitment and services to the Indian railways. ​Best Quotation: To be a champ you have to believe in yourself when nobody else will. She urges all women to overcome their emotions and look for the solution to a problem instead of silently suffering. She also has called upon all parents to encourage the children study well irrespective of their gender and inculcate good moral values. Mumtaz has inspired many people and has won several awards and honours for her service to the Indian railways. Surekha Yadav is first train pilot women in the Indian Railways in India. Surekha Yadav was born on 2 September 1965 in Satara, Maharashtra. Surekha Yadav’s mother is Sonabai and her father is Ram Chandra Bhosale. Surekha Yadav completed Diploma in Electrical Engineering from the Government Polytechnic college, Maharashtra. Surekha Yadav got Jijau Puraskar award in 1998. SurekhaYadav won Women Achievers award in 2001. She has won Rashtriya Mahila Aayog, Delhi in 2001. SurekhaYadav won prernapuraskar in 2005. She got RWCC best women award of year in 2013. Lakshimi Lakra has 27 years old, Lakshmi Lakrahailing from Dela Dolly Kokar village, Jharkhand. She completed Diploma in Electrical Engineering. Lakshmi Lakra is first woman train pilot in Northern Railways. Now Lakshmi Lakra is driving goods trains and light engines in the Delhi circle. Samata Kumari has 22 years old, Samata Kumari hailing from Patna, Bihar. Samata Kumari is first woman of Lucknow division and country’s fifth women train pilot. She is driving Gonda Passenger. 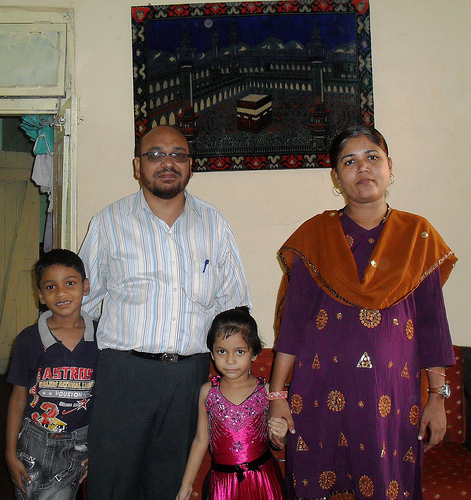 Samata Kumari got selected by RRB (Railway Requirement Board) Gorakhpur in Jan 2010. Sathyavathi is the first woman locopilot for South Central Railways. Sathyavathi joined in 1999 as Assistant loco pilot in Bangalore. Now Sathyvathi is presently driving MMTS (Multiple Model Transportation System) train in Hyderabad and its suburbs.